BMW E36 is the people's favorite car. Someone admires this Bavarian masterpiece silently and unpretending, someone reaches out for individualization, adding elements and cardinal improvements of their own. 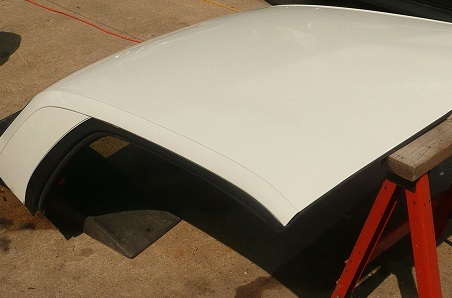 The simplest way of distinguishing your car externally is to repaint it, a more complex solution is to install a body kit. But the most interesting and labor-intensive way of changing your car's exterior is to transform it into a bmw convertible 3 series by cutting the roof off. 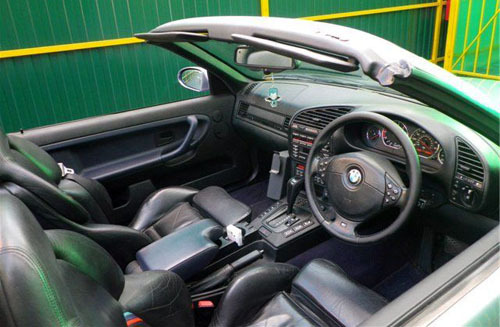 Most tuning studios offer services for transforming BMW 3 Series car into convertible, but the price of such a service is often unreasonably high. The procedure requires little equipment: an angle grinder, an idea and a good stock of patience (if the primitive approach is applied). Homemade BMW 3 series convertible used - what issues may arise? Without the roof, the car obtains different aerodynamic characteristics. If the car is old and its underside is used-up, a blistering gust of baffling wind or hard braking on the highway can simply concertina it, especially with heavy weight in the rear. To prevent such troubles, you need to calculate all the strains the car will have to sustain in advance. For this work, you'd better have a friend physicist and engineer. 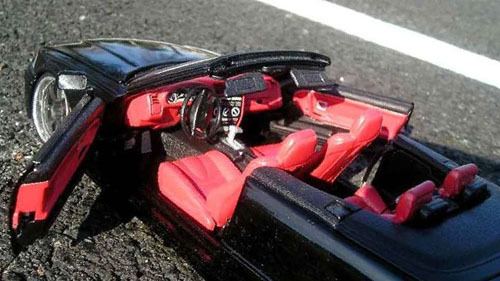 Convertibles are expensive for a reason: such a design requires elaboration. Perhaps, you will need to reinforce the pillars and the underside of the car by adding new reinforcement ribs. On one hand, it seems very simple: for cutting the roof off you will need a cutting tool and determination. But in fact that's not good enough: in the beginning you should materialize design of your 3 series bmw convertible on paper, taking into account the roof, considering whether you're going to cut all the pillars off or not, etc. You need to have a clear idea of what you're trying to create. You should cut off the roof in an even manner, with all pillars on the same level. After the roof is cut off, you should level the height of pillars, apply primer to the ridges and paint the cut-offs. 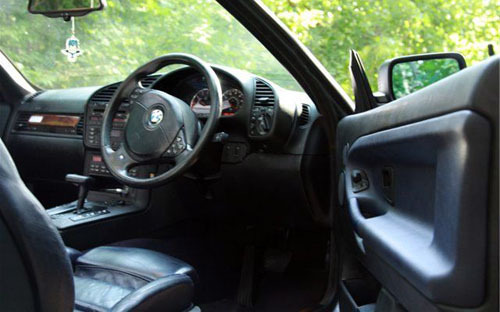 Strengthen the windshield frame by additionally connecting its top side with lateral bearing components and the underside with the help of vertical pillars. If you're building you convertible from a sedan, you need to weld up the rear doors. Install a rigid cross-wall to separate the boot from the compartment. Reinforcing the sills is a good idea. You can also install a strong cross-member wrapping around the front seats from behind. The issue of constructing a new roof will not be addressed within this article – it's a huge topic. Noteworthy, there are ex factory convertibles, and you should purchase a roof that was ready-made for the specific car body type. 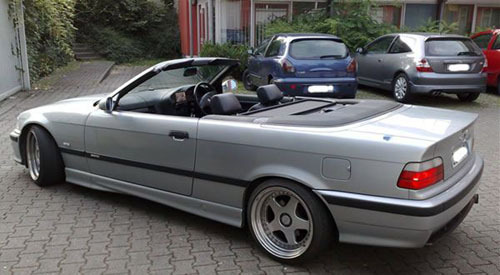 You can buy a prepared e36 Hardtop for your bmw 3 series convertible. You can install it on your homemade e36 convertible, whenever you want. But initially, you need to do the car correctly for such options. A great idea is to contact the production plant or its affiliate. 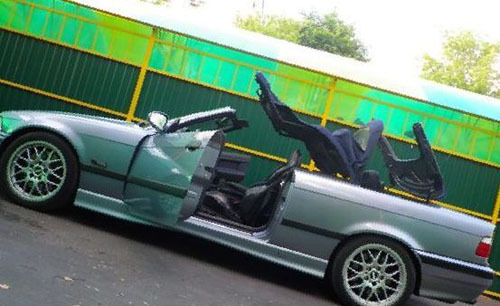 The manufacturer definitely has information on how to transform your BMW E36 into a real bmw 3 series hardtop convertible. After you get an OK from the manufacturer, you will receive a document proving that your vehicle is in good repair and complies with state requirements. Take this seriously, because your home-modified car can be confiscated unless it has undergone a technical inspection. After you've realized the working scale, are you going to scratch your plans?